Come to Quality Woodtruss, Inc., for high-quality wooden roof and floor trusses. We specialize in wooden trusses for both residential and commercial construction projects. Whether you need trusses for a pitched, flat, triangular, or scissor roof, we can help you. Our wooden floor and roof trusses are ideal for both single- and multi-story construction. For your convenience, delivery is available. 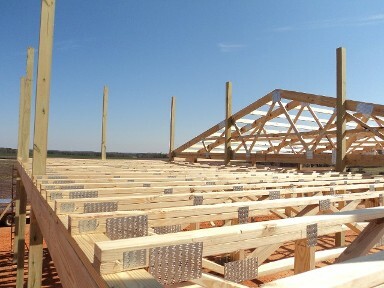 We sell floor and roof trusses to businesses, contractors, and individuals. 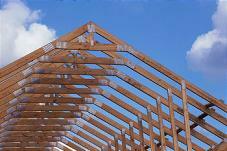 All of our wooden trusses are custom designed to your specifications. We use a state-of-the-art computer program to ensure that all of our trusses comply with applicable building codes. We offer both retail and wholesale prices. Contractor accounts are welcome. When you buy your wooden floor and/or roof trusses from Quality Woodtruss, Inc., you'll get top-quality trusses at very competitive prices. We're locally owned and operated, and our experience and knowledge of the industry sets us apart from all competition. We serve contractors, building designers, home remodelers, and architects throughout Columbia, South Carolina, and the surrounding communities within a 200-mile radius. Each truss is inspected by a trained and trusted supervisor. Come to Quality Woodtruss, Inc., for high-quality wooden roof trusses.